Damn it, my emotions are still reeling. This one hit me right in the feels. Thanks for that, Jennifer. Rachel and Andy are high school sweethearts—but their story starts long before that. Rachel has had a heart condition her entire life, and they end up meeting in the hospital when they’re young. They come from separate sides of the tracks—Rachel from a rich, Jewish family and Andy from a low-income, single parent household. This is fine, until they’re older and begin to realize that their differences are coming between them. The storyline is fantastic and spans over many years. It switches point of view between Rachel and Andy with each chapter, and also labels the year. It was easy to understand and gave a great look at each character as they progressed through life. Andy and Rachel have a very on again off again relationship throughout their adolescent and adult life as they realize their differences—in beliefs, backgrounds, goals, and aspirations. They both just seemed so real. Even Andy, who turned into a freaking Olympic runner. I literally don’t even know how to put into words how much I love this book. 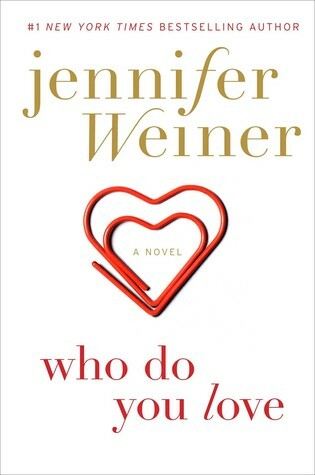 Definitely my new favorite Weiner novel. 5/5 on Goodreads.